Emily Rodda's adult novels appear under her real name, Jennifer Rowe. Ms. Rowe grew up in Sydney with her two younger brothers, attended Abbotsleigh School for girls, graduated from the University of Sydney, is a world renowned published author, and has three children. 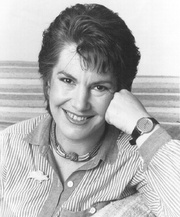 Emily Rodda is currently considered a "single author." If one or more works are by a distinct, homonymous authors, go ahead and split the author. Emily Rodda is composed of 6 names. You can examine and separate out names.